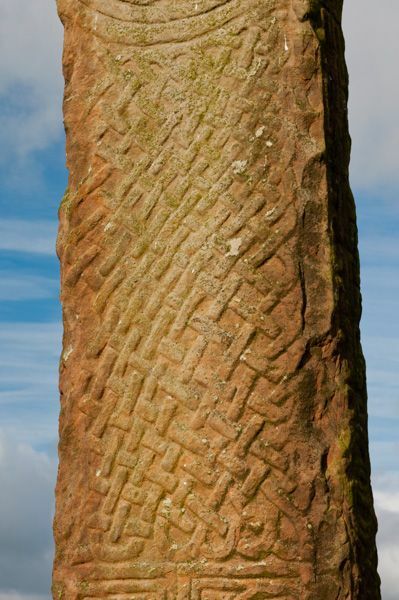 The Maen Achwyfan Cross is a beautifully carved 10th-century wheel cross. 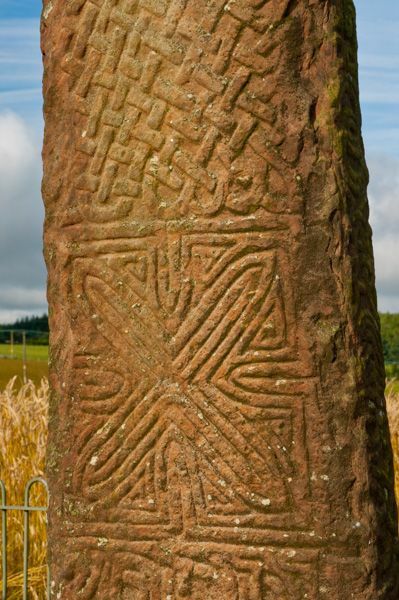 The cross shows strong Scandinavian influence in the carving style, similar to crosses in Northumbria of the same age. It stands about 3.43 metres high (roughly 11 1/4 feet for those who think in old money!). 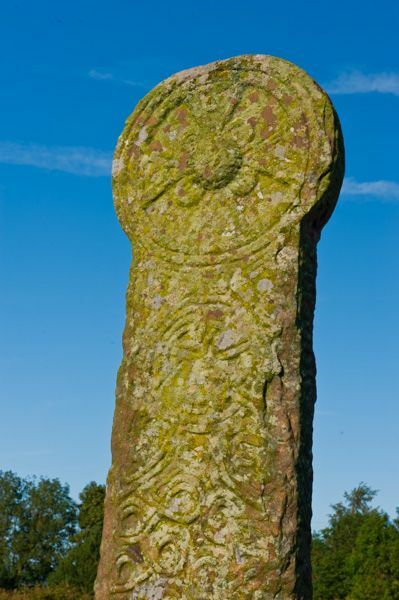 The cross is composed of a tapering shaft, topped with a small disk-head, and is carved over most of its surface. 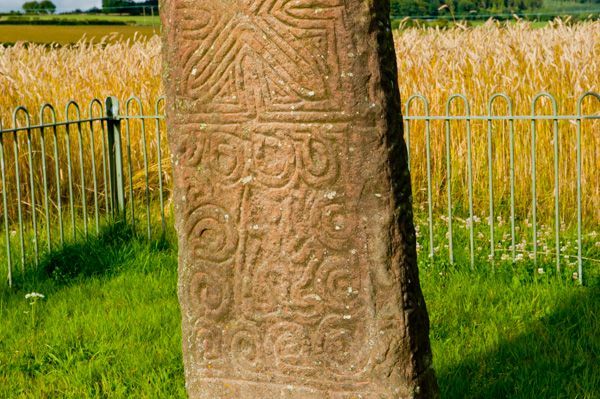 The carving is in quite good condition, considering that the cross stands in the open, exposed to the effects of the weather. It is quite possibly the tallest wheel cross in Britain. 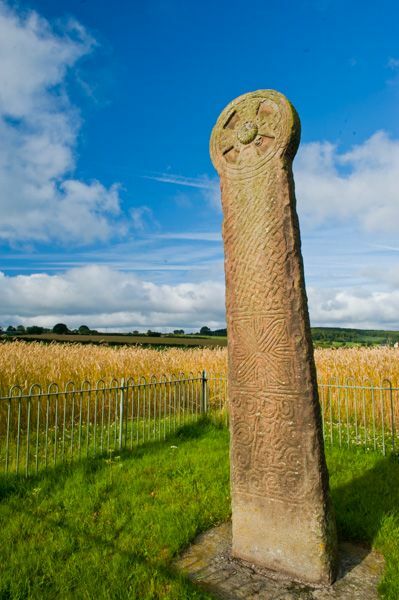 An unsubstantiated local legend says that the cross stands near the scene of Boudicca's last stand against the Roman legions. This seems rather unlikely; most historians place the battle site in the Home Counties, closer to London. However, local fields are known as Cydio ar Leni, which translates loosely as Seizing Legions. Does this suggest that the old tales are true? We'll leave it to you to decide! 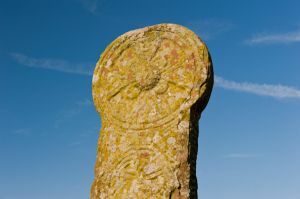 Though the stone is traditionally said to date to the late 10th century, there is some suggestion that it relates to a local 7th-century saint known as Cwyfan. 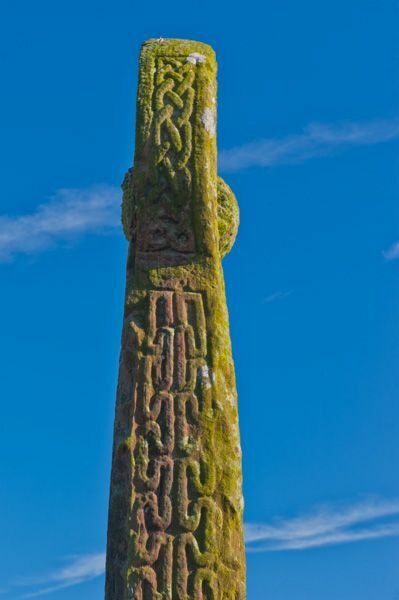 The carvings depict traditional Celtic and Viking symbols, with figures of serpents, knotwork, animals, and Celtic chains. The cross is carved from a single piece of stone. In the 12th century, the monks of Basingwerk Abbey built a chapel nearby, and they may have worshipped at the Maen Achwyfan Cross.